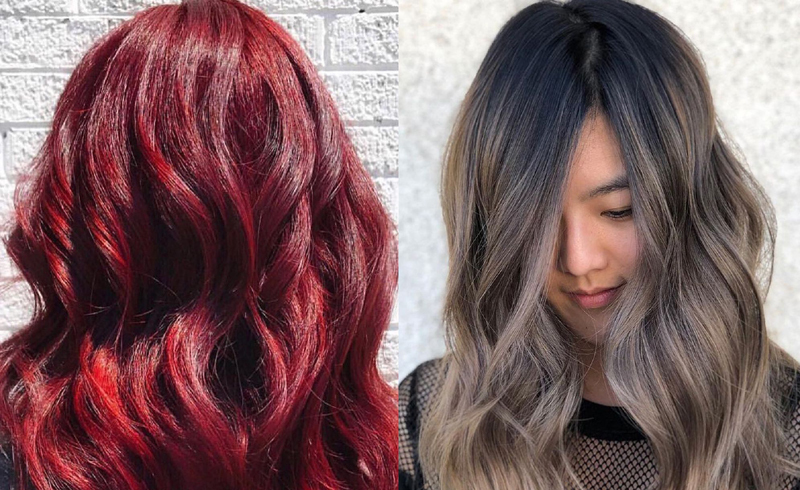 Twenty-eighteen gave us a lot of things: a royal wedding, the midterm elections, teddy coats, and more swoon-worthy hair colors than one year should be allowed to hold. Here are the top 10 we've fallen in love with—vibrant lilacs and raven blacks we feel confident will stick around post-New Year's. Get your colorist's number ready before your sister, your cousin, and your barista beat you to them. If the streets and runways of fashion month mean anything (they mean everything), bright lilac hues are about to infiltrate your friend group. Surprisingly, the shade is pretty easy to wear, thanks to its color-correcting blue undertones, which give skin an overall brighter appearance. Warm, honey shades continued to reign as this year's most sought-after blonde, and we saw a spike in sun-kissed golden-ombré hues this summer. With grungy, exposed roots still in style and acting as the ultimate grow-out disguise, blonde has never been so low-maintenance. We hate to say it, but the soft, strawberry-blonde hues and rose-gold highlights of 2017 have slipped into the ether of forgotten hair color trends. But don't freak, pink lovers—they've been replaced by deeper shades in the same family, like fiery crimson. Good news for your inner emo kid: Rich, jet-black hair covered the heads of some of your favorite celebrities this year, and we're not just talking about Pete Wentz. 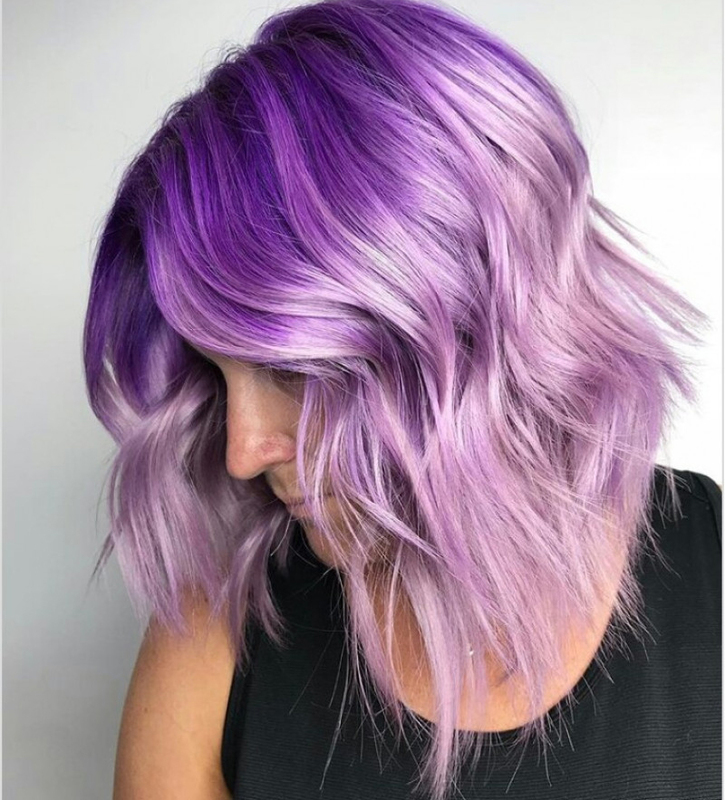 The 2018 take on the trend is less Hot-Topic-enthusiast and more badass-hair-chameleon, especially when coupled with a long bob. Not quite ready to go full-on My Chemical Romance with a single-processed black? Meet your middle ground: ash brown—the love child of deep, chocolate brown and muted, slate-gray. We took a a much-needed breather from platinum last year, but predict 2019 will see a steady uptick in Ice Queen–level white-blonde. At this rate, it's safe to say this shade will carry us into the new year—and yes, we're already thinking of that far ahead. This color is anything but cold. Inspired by the shade of your favorite caffeinated beverage, cold brew-coloring takes brunette hair and warms it up a little bit by adding multidimensional red and mahogany highlights. This is perfect for anyone who wants some red in their hair, but is nervous to take the plunge into full-on Jessica Rabbit-mode. It's delicious both as a flavor and a hair color. You'll love the newest addition to the 'bronde' (that's blonde and brunette, you're welcome) hair trend that began last year. This one's a brunette root melted into bright blonde at the tips for a really high-contrast hair color. The best part of the shade is that the longer you go between color sessions, the more "toasty" your hair gets: the dark root only enhances the brightness of the blonde. Too scared to jump into the unnatural color colored hair trend? Lilac Champagne is perfect for you, then. Not quite an icy blond, but not quite champagne, and not really purple, the color is almost indescribable because it looks different in every single light. Peach, lilac, blonde, brunette: this hair color literally can do it all. A little fresher and more high-fashion than your standard redhead, this is burnt copper. Too orange to be just 'red,' but too brown to be 'bronze,' this color is nearly a "ronze" shade, if we're going to use portmanteaus. Similar to the hue Christina Hendricks made iconic in the early 2010s, this shade of red is deep and strong and bright. Next year: go bold.